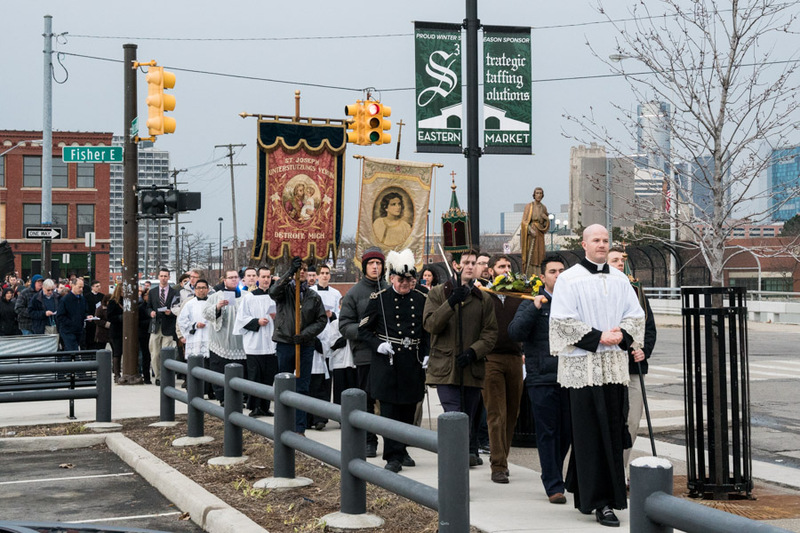 The feast of Corpus Christi on Thursday, June 15, 2017, marked the first visit to Detroit of Msgr. Gilles Wach, Founder & Prior General of the Institute of Christ the King Sovereign Priest. 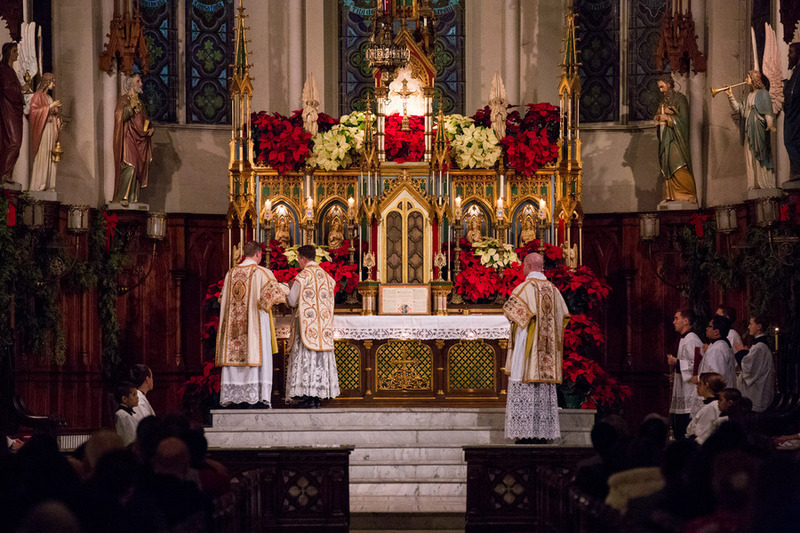 A Solemn High Mass was offered by Msgr. 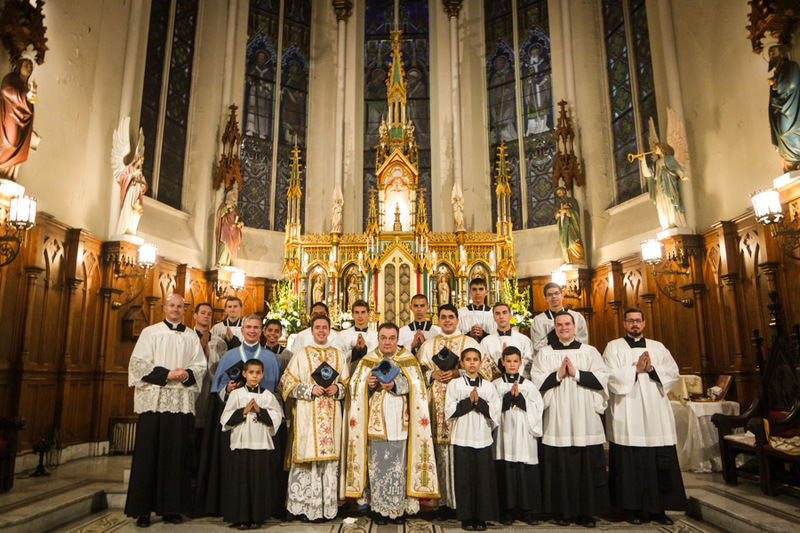 Wach, with Canon Michael Stein as deacon and Canon Edward Gardner, a native son of Detroit, as subdeacon. 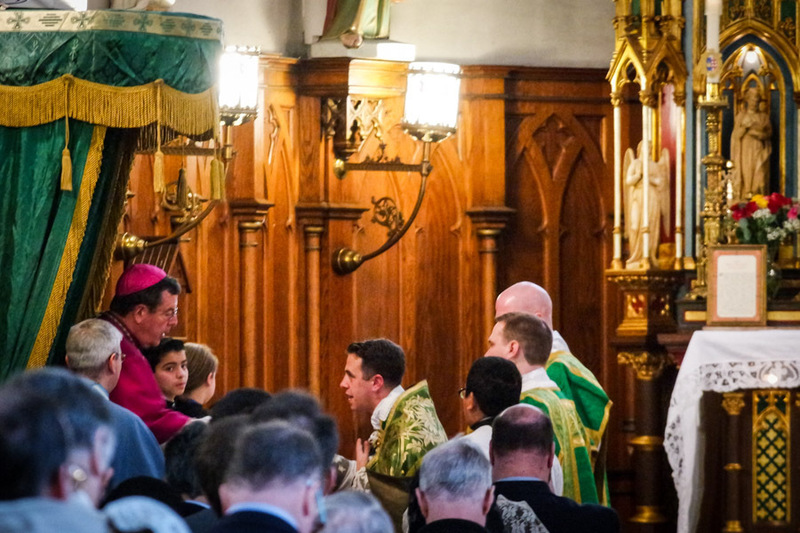 Sunday, February 5 was a blessed day in Detroit, as His Grace the Most Reverend Allen H. Vigneron, Archbishop of Detroit, visited St. Joseph Oratory to install Reverend Canon Michael Stein as Pastor.